Studio Athletica - Downtown Toronto knee physiotherapy - Call Now. Below you will find a list of some conditions that we see with our Downtown Toronto knee physiotherapy clientele. At Studio Athletica, we specialize in several different services that can help treat your health problems. We also offer direct billing. Please feel free to read more about your symptoms, conditions and our suggested treatments, pricing or contact us to pinpoint the best treatment to heal your body. The downtown Toronto knee physiotherapy program is the gold standard. 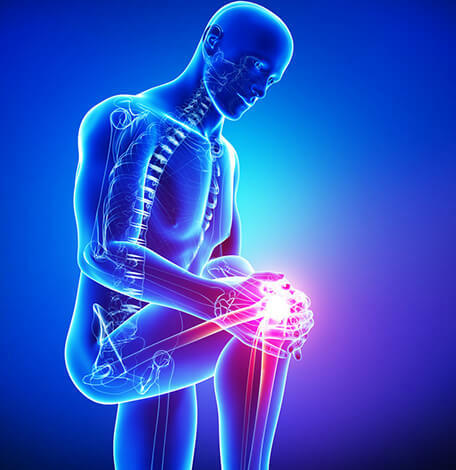 The knee joint is kept in place and supported by muscles, tendons, ligaments, and cartilage. Below you will find a list of symptoms and conditions that may be affecting your body in the knee area. At Studio Athletica, we specialize in several different services that can help treat your health problems. Please feel free to read more about your symptoms, conditions and our suggested treatments, or contact us to pinpoint the best treatment to heal your body. Our Downtown Toronto knee physiotherapy program treat a lot of anterior cruciate ligament (ACL) injuries, which are often called a sprain. A sprain occurs when the threads or fibers of the ligament stretch or are torn. In order for the knee to function correctly, it uses the ligaments and bone to help bend the knee. When a ligament gets torn or sprained, moving the knee becomes very difficult or sometimes even impossible. While these injuries can occur in people of any age, these strains and tears are some of the most common in people who participate in sports or vigorous workout routines. This is because certain types of physical activities will put more strain on the joints. Depending on the severity of the ligament tear or sprain, the symptoms might include: a sudden popping or snapping sound when the injury occurs, swelling, tenderness, a feeling that the knee is loose, and difficulties moving the knee. 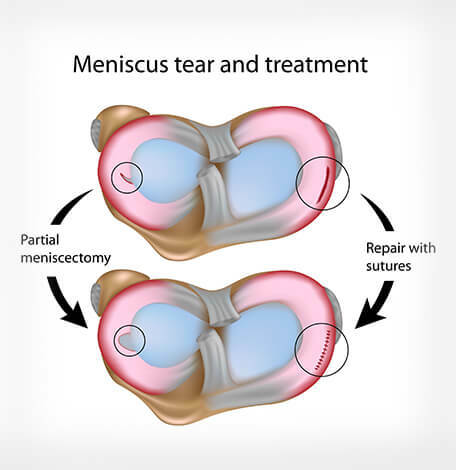 Meniscus tears are one of the most common reasons clients visit us for their Downtown Toronto knee physiotherapy. Your knee is the connecting point between your thigh bone and your shin bone. These two bones come together and are stabilized by cartilage to help keep your knee in place. Between the two bones is a cartilage called the medial meniscus which acts as shock absorbers to help prevent the two bones from rubbing together and help your knee move smoothly. Over time this cartilage can begin to degenerate, causing pain and the inability to move your knee freely. Most people don’t realize they have degenerative meniscus and the importance of visiting our Downtown Toronto knee physiotherapy program until the cartilage actually tears which can cause a great deal of pain. There will be some swelling, tenderness, and difficulties moving the knee. The degeneration can be the result of years of high-impact activity or normal wear and tear with age. 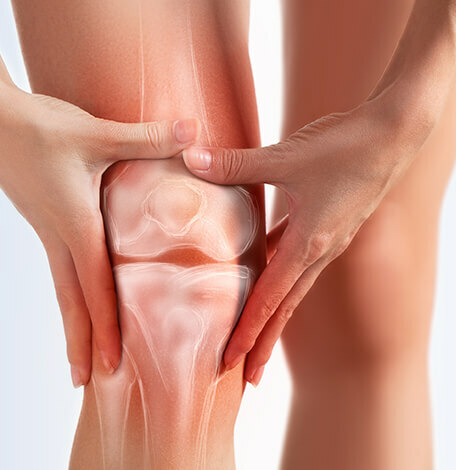 Our Downtown Toronto knee physiotherapy program deals with a number of dislocated kneecaps. It is a common injury that normally takes about six weeks to heal. It’s often caused by a hit to the knee or a sudden change in direction when the leg is firm to the ground, such as during sports or dancing. The kneecap (patella) normally sits over the front of the knee. When the kneecap is dislocated, it can slip sideways to the outside of the knee. 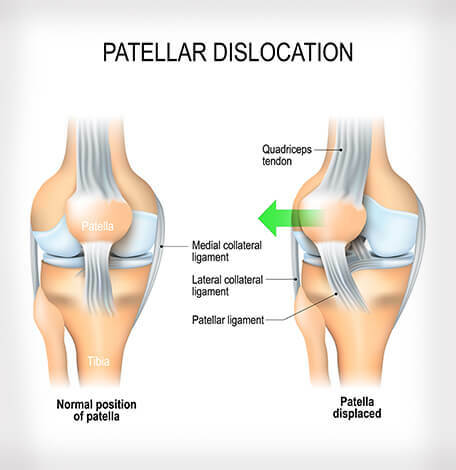 If you dislocate your patella, you may feel as if you knee if giving in and cannot support your weight, there will be some localized tenderness as well as pain when standing and lack of mobility. A dislocated knee cap sometimes goes back into place on its own, sometimes a doctor must push it back. 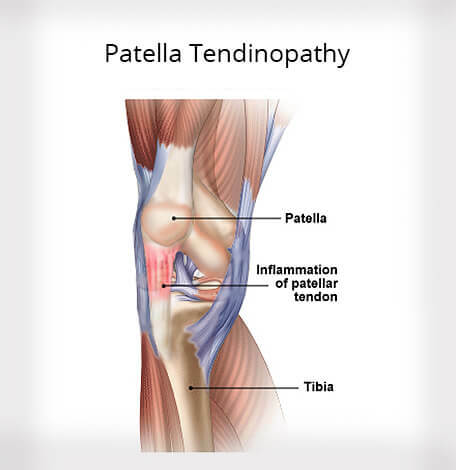 Jumper’s knee is also known as patellar tendonitis which is an injury caused by overuse, a common reason why clients visit us for their Downtown Toronto knee physiotherapy. It results in pain at the front of the knee and can radiate down towards the bottom of the kneecap. Like the name, jumper’s knee is caused by repetitive strain from too much jumping or running which results in inflammation or degeneration of the tendon in the kneecap. If you have jumper’s knee you will feel pain at the bottom of the kneecap towards the front. It will be very tender when pressing in and may appear swollen or thicker than usual. You are likely to experience aching and stiffness after being active, particularly when jumping. Fat pad impingement is a syndrome that can affect young athletes, runners, cyclists, soccer players, and others that participate in vigorous workouts. Get a personalized approach with our Downtown Toronto knee physiotherapy program. is a common condition affecting the knee joint and may also be referred to as Hoffa’s Syndrome. The fat pad is a small mass of fatty tissues that is found just underneath the bottom half of your kneecap and patellar tendon. This fat pad helps to lubricate the knee joint, whilst also acting as a bit of a shock absorber. 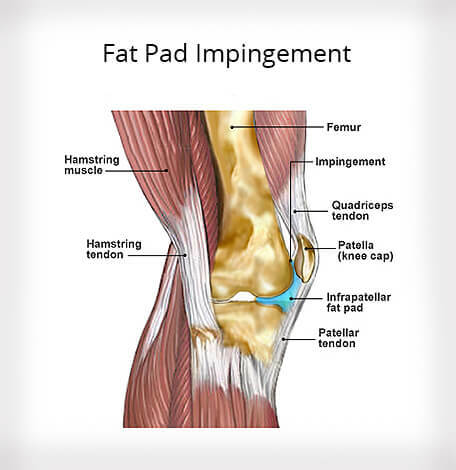 The fat pad is aggravated by activities that require repetitive straightening of the knee such as in rowing sports. Over-extension of the knee can also be caused by a traumatic injury or a fall onto the knee. Fat pad impingement will cause pain on either side of the knee cap where the fatty tissue sits. The pain may be worse with jumping, prolonged standing or any other position that causes the knees to be straightened. Downtown Toronto knee physiotherapy for Iliotibial (IT) band syndrome is when an injury that is caused by overuse and common in endurance athletes like runners and cyclists. The IT band is a ligament that runs down the outside of your thigh to the top of your shin. When it becomes tight and inflamed, it can be felt on the outside of the knee and movement of the knee becomes quite painful. While most runners mistake IT band syndrome for a knee injury, the most obvious symptom is the swelling and pain on the outside of the knee. The best way to tell if you have IT band syndrome is to bend your knee at a 45-degree angle. If you have an IT band problem, you’ll feel pain on the outside of the knee. 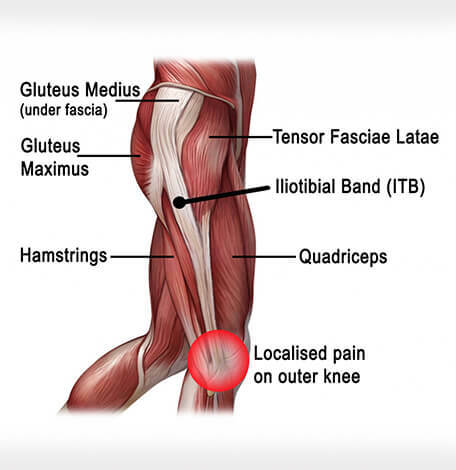 Patellofemoral Pain refers to a pain in the kneecap when it rubs on the femur bone underneath which results in the irritation of the cartilage under the kneecap. The initial cause of kneecap pain is most likely overuse such as training, high intensity jumping, and knee bending. It is also common in people who play a lot of sports and in adolescent females. Symptoms include an aching pain in the knee joint, particularly at the front of the knee around and under the patella. There is often tenderness along the inside border of the kneecap and swelling will sometimes occur after exercise. Patellofemoral pain is often worse when walking up and down hills or sitting for long periods of time. It is important to receive an evidence-based approach like the one used for our Downtown Toronto knee physiotherapy program. Osteoarthritis is the most common form of arthritis. It occurs when the protective cartilage on the ends of your bones wears down over time. It can occur with any joint in your body however, the disorder most commonly affects joints in your hands, knees, hips and spine. Osteoarthritis symptoms can usually be effectively managed, although the underlying process cannot be reversed. Staying active, maintaining a healthy weight and other treatments may slow the progression of the disease and help improve pain and joint function. The symptoms include pain in the joints during or after moving, tenderness when applying light pressure to the joint, stiffness, loss of flexibility, grating sensation in the joint, and bone spurs. Our Downtown Toronto knee physiotherapy protocol for knee replacement is excellent. A total knee replacement can help relieve pain and restore function in severely diseased knee joints. The procedure involves cutting away damaged bone and cartilage from your thighbone, shinbone and kneecap and replacing it with an artificial joint (prosthesis) made of metal alloys, high-grade plastics and polymers. 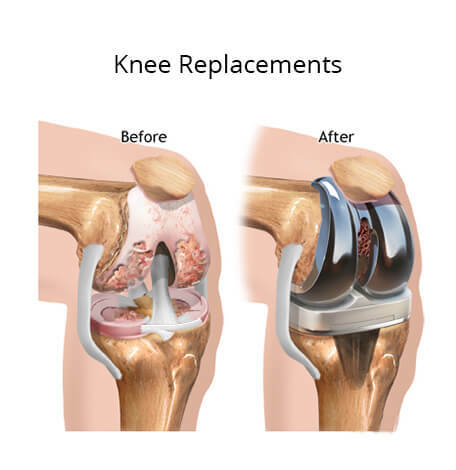 Knee replacement surgery is one of the most successful and common surgical practices done today. It can drastically provide pain relief, while most people regain range of motion, physical ability, and quality of life. 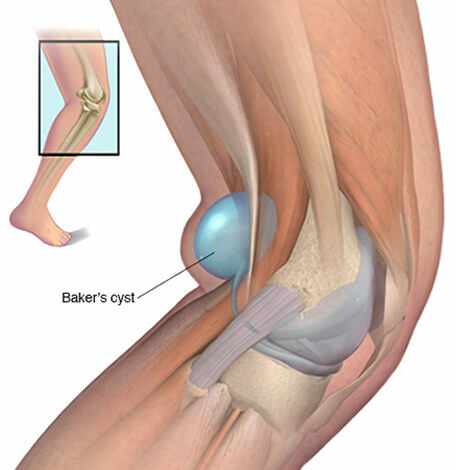 A Baker’s cyst is a fluid-filled cyst that causes a bulge and a feeling of tightness behind your knee. The pain can get worse when you fully flex or extend your knee or when you’re active. The excess fluid is usually caused by conditions such as rheumatoid arthritis or osteoarthritis that irritate the knee. Some people who have a baker’s cyst may not feel any pain at all and may not notice it while others may experience swelling behind the knee, pain in the knee, stiffness, inability to flex the knee. These symptoms can worsen if you’ve been active of standing for long periods of time.